Very soon we will say so long to summer and get ready for pumpkin season! 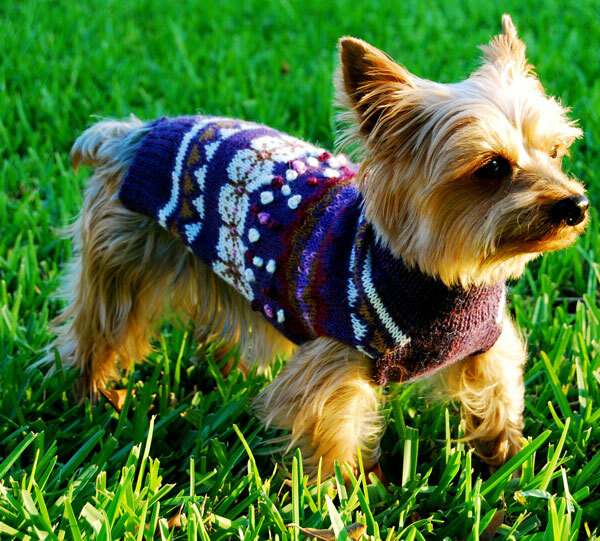 Temperatures will cool and our fur babies can begin to sport light sweaters and coats. We are proud to offer an extensive collection of cooler weather beautiful hand made sweaters and knits for the most discriminating pooch!